Paramount Structures has been contributing to the ever-changing Toronto skyline since 1994. 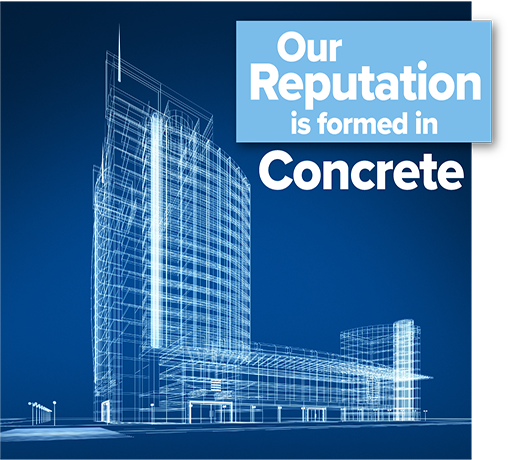 Every new challenge the next project presents provides us another opportunity to demonstrate our ability to execute the successful outcomes that have helped us earn our place as a trusted partner in the concrete construction industry. From early planning through to the final touches of our projects, our customers can expect on-time delivery adapting the safest and most up to date construction methods that provide maximum efficiency to schedule and quality, while always considering the safety of our workforce, site personnel, and the public. As an early adaptor of safety and creating safe work environments, our safety processes is an integral part of the way we work as we believe that a safe site is a productive site. As we continue to evolve, we stay focused on delivering the exceptional results our customers expect through unrelenting improvement in all facets of our business. 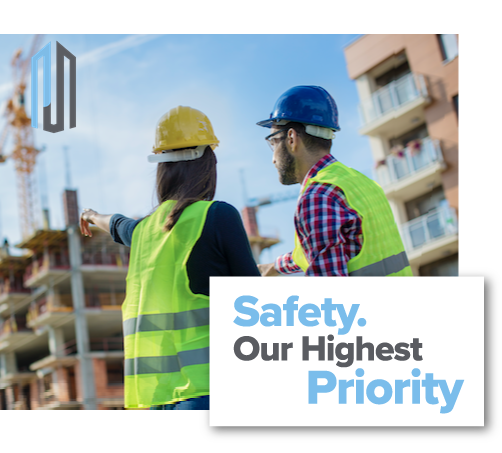 Safety for our people, the public and the people we work with is our highest priority and we uphold this commitment by providing an extensive safety training program that ensures all workers are trained to a level of hazard recognition that is above the industry standard. Pat’s been in the construction industry for over 25 years. His knowledge and enthusiasm for constructing, through his key involvement with a development company in his early days, led him to ultimately kick off his own development/contracting company. For more than 15 years Pat successfully grew his company to include projects in the residential, hotel, retail and commercial sectors. His interest and passion for high rise led him to join Paramount in 2011. Pat’s extensive understanding of the building industry and contract experience brings a high level of administration management awareness and accuracy, crucial to today’s overall successful construction experience. Mario’s career in the high-rise forming business began in the early 1980s, while working summers as a labourer. He attended George Brown College during this time, where he studied Construction Management. Upon graduation, he resumed his summer position full-time and was eventually promoted to an estimating position, which allowed him to further his knowledge of the industry. In late 1994, he and a co-worker ventured out and established Paramount Structures Ltd. With modest beginnings, the partners were committed to growing a company that would rival the best in the industry. Mario became the sole owner of the company in 2009. 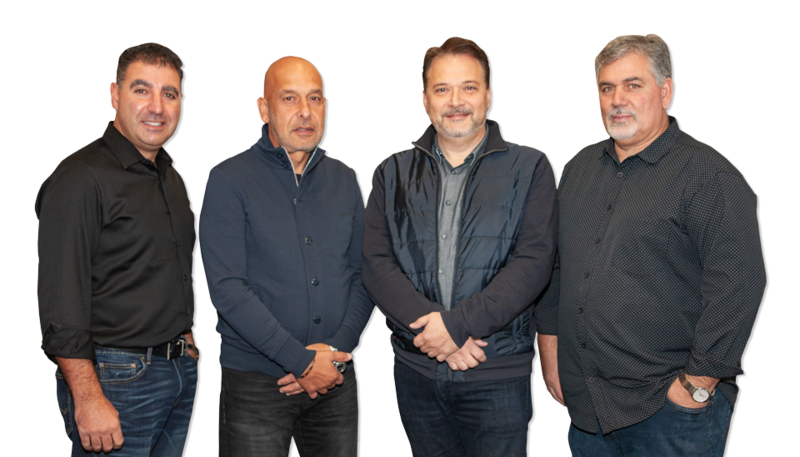 With over 2 decades of leadership experience and a career in the construction industry spanning over 30 years, Mario continues to move Paramount Structures Ltd. forward, solidifying it as a competitive force in the industry. For more than 25 years Gaspare has been contributing to the evolution of the formwork industry by growing two major formwork services companies and introducing some of the latest innovations available today for faster, safer concrete construction. He’s been involved in the development of effective solutions for significant projects in all sectors. From high rise residential and commercial towers to infrastructure and power projects, Gaspare’s experiences in solutions as well as business development brings “outside the box” knowledge to our company and our customers. Mike is a 30 year veteran of the construction industry and has directed field operations on a multitude of projects in both the residential and ICI sectors. From overseeing formwork operations to construction management of entire projects, Mike’s exposure to the various aspects of construction combined with his thorough knowledge of complex building systems and processes brings a high level of experienced leadership to the group. © 2019 paramountstructures. All Rights Reserved.